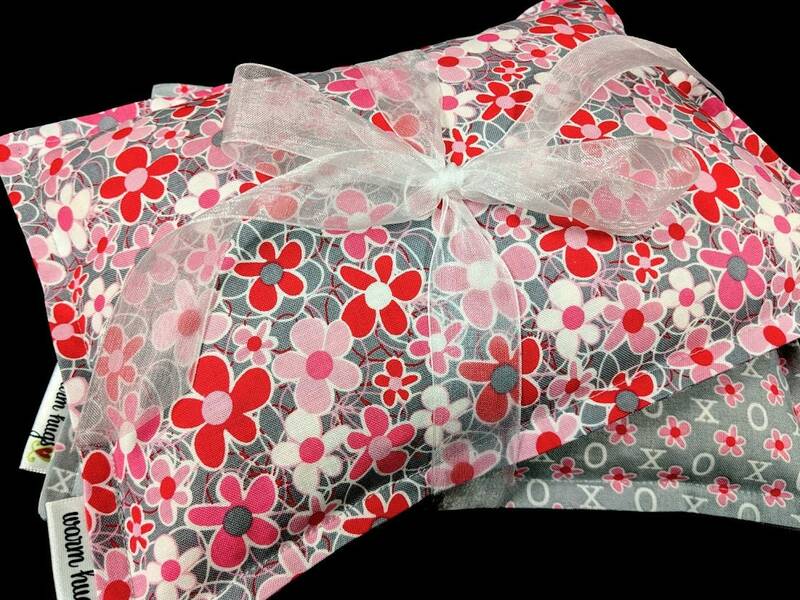 Floral and Hugs & Kisses XOXO stress relief gift set includes 2 bags, one of each pattern (individually packaged). Keep one in the freezer for puffy face or headaches and keep the other to heat up in the microwave for relaxation or sore muscles. Small Bags measures 7"x 9.5" and is filled with 2.0 lbs. (approx 4.5 cups) of corn. 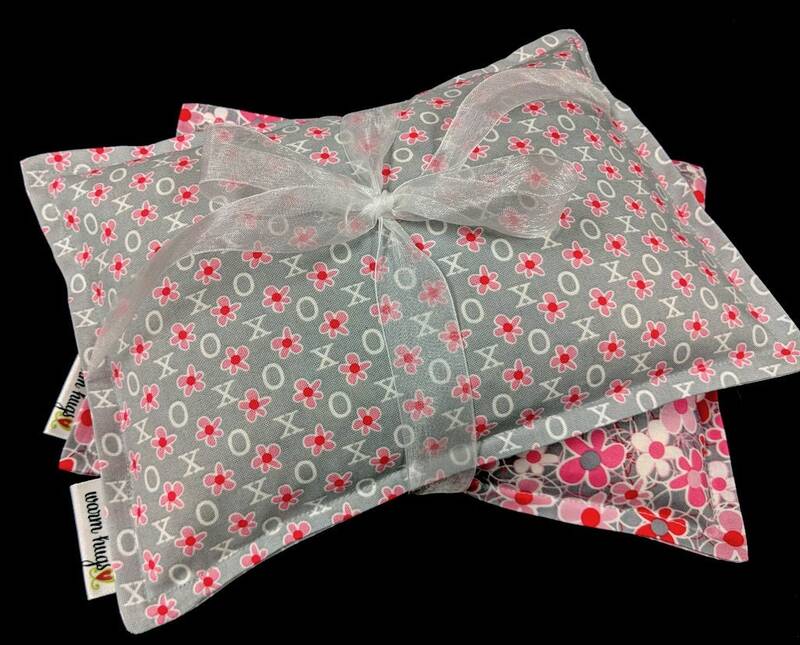 Warm Hugs are made with 100% cotton fabric and filled with only the highest quality clean whole corn. Just heat in the microwave and enjoy amazing moist heat for up to an hour. 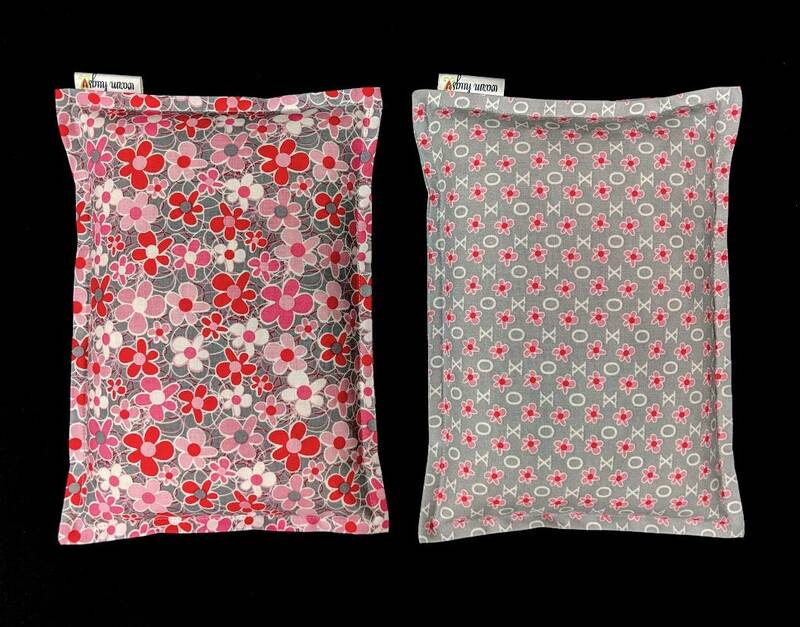 Corn Bags may also be stored in the freezer and used as an ice pack when cold therapy is needed.